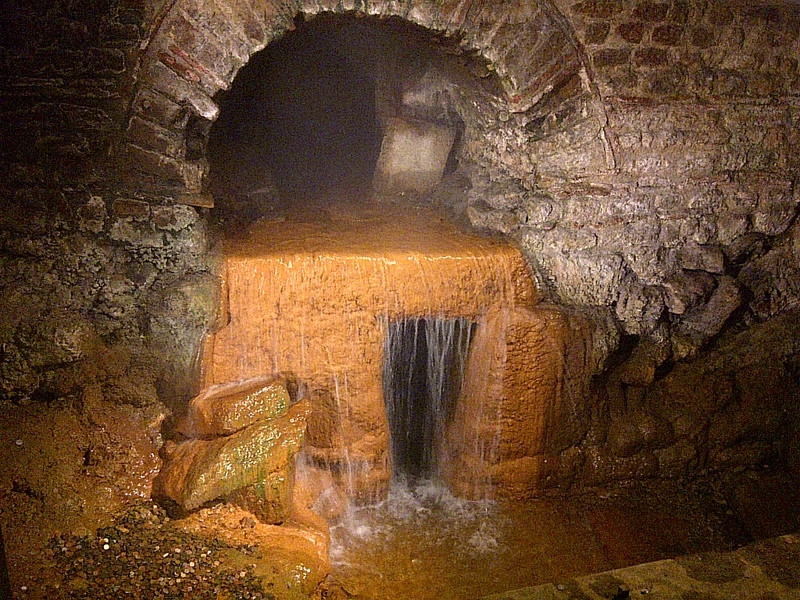 The overflow, steaming with sulphuric water, from the temple pool above at the 2000 year old Roman baths. Fascinating. Bath, England. June 16, 2013. On the ENGLAND, SCOTLAND & WALES tour.